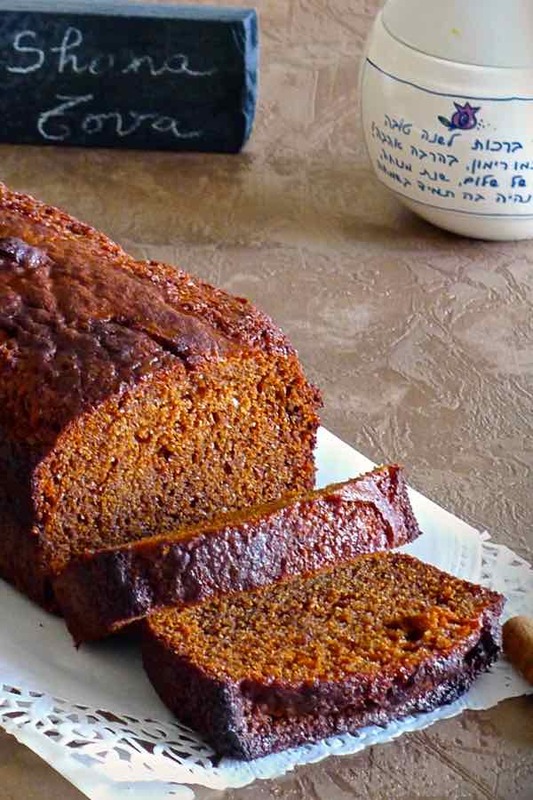 Lekach (or honey cake) is traditionally associated with Rosh Hashanah (Jewish New Year). The term Rosh Hashanah means “head of the year”. In the Hebrew calendar, the new year begins on Rosh Hashanah, the first of the month of Tishrei, which was precisely this Thursday. On both nights of Rosh Hashanah, Jews around the world eat different foods to symbolize their prayers and hopes for a sweet new year. Many foods were chosen because their Hebrew name and taste is reminiscent of good omens for the coming year. A prayer accompanies the consumption of each ingredient, expressing our wishes relating to these words. A blessing is said with the ingredient placed in the right hand, immediately before eating it. 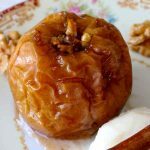 Certainly, customs vary depending on the origins but if there was one combination of ingredients which is found on all Rosh Hashanah tables regardless of the location and traditions, it is apple and honey. 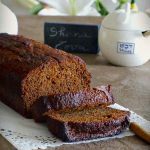 I chose to make one of the most popular recipes around the world for this New Year: honig lekach (honey cake), associating not only sweet spices, but also honey and apple juice. 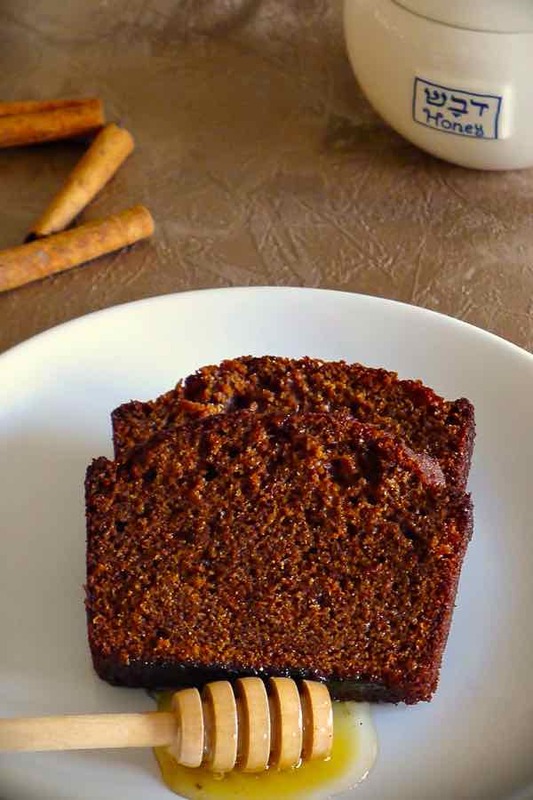 Lekach is a sponge cake with honey, and with cinnamon and ginger as main and essential spices. Other spices are typically added. For my part, I chose nutmeg, mace and clove. More commonly known as lekach, its origins are German and date back to the nineteenth century. 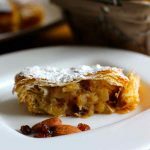 Recognized as the traditional cake of the Jewish new year in all communities of Eastern Europe, it was traditionally prepared in the hope that its sweet flavor ensured well-being and sweetness throughout the year. Today, the variety of recipes knows no borders as every family and every region have their own recipe for honey cake. The true ancestor of lekach is none other than our famous pain d’épices also known as gingerbread, that we used in Belgian carbonnade. The Egyptians used to eat bread with honey and spices. A version of gingerbread was then found in Greece and in Rome, but in the form of fried treats generously drizzled with honey. But if you look at history with a magnifying glass, we learn that the real pain d’épice was Chinese. 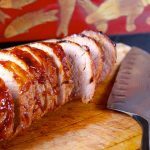 Indeed, in the tenth century, the Chinese used to eat loaves of honey bread flavored with various spices and baked in an oven. 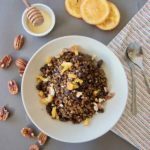 For a better lekach, it is recommended to prepare it at least one day ahead (2 or 3 days and it’s even better!) and let him mature, well wrapped in greaseproof paper or cloth so that it can develop its flavor. Honey is supposed to appease. The tradition asked that during the holidays, people only have positive or serene thoughts, expressing neither anger nor hatred towards others. Thus, the first day of the new year serves as an example and reference to other days of the year. This coming year should be sweet! We wish a year 5775 as sweet as honey to all our readers! 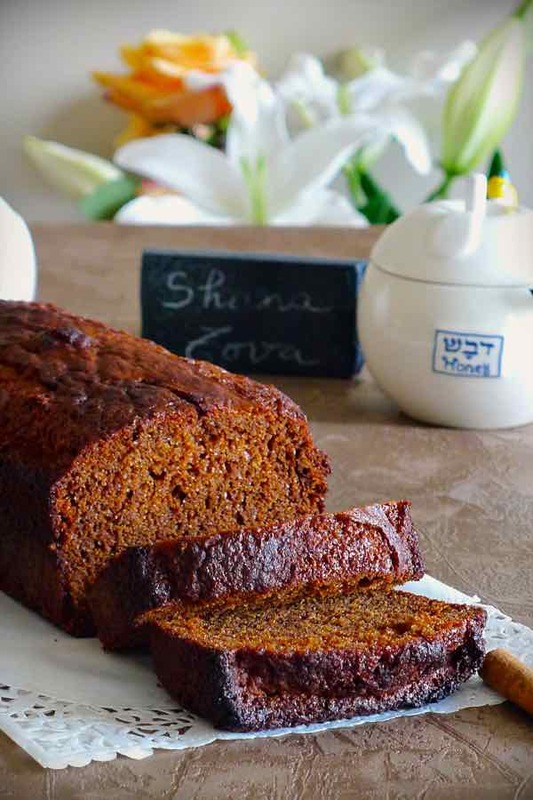 Lekach is a honey cake, spiced with cinnamon, ginger and clove, that is traditional of the Jewish new year throughout Eastern Europe. 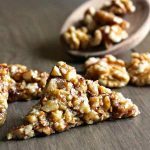 Mix the dry ingredients: both flours, ground almonds or walnuts, sugar, baking powder, baking soda, and spices. In another bowl, mix honey, apple juice and whisky and emulsify. 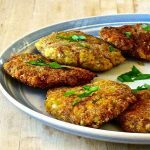 Make a well in the center of the dry ingredients, add the oil, eggs, and the liquid mixture. Whisk at low speed until reaching a smooth dough without lumps. Spray the loaf pan with cooking spray. Sprinkle 1 tablespoon of flour in the greased pan and move it around gently to dust it entirely. Flip the pan upside down and remove the excess flour by tapping the bottom of the pan. Unmold when warm or cold. Cover with a cloth and consumed preferably 24 hours later. Do we grease the pan? Yes Kathie! Grease or parchment paper. Enjoy! I have a request to make this as a stacked cake. Any recommendations? About how many cups does one recipe make? Hey Camille, we have never done it as a stacked cake. The only thing I can tell you is to adjust the baking time based on the sizes of each layer. Good luck! Doesn’t say if we should spray the pan first or to butter and flour first? Is this needed? Yes, sorry Queen. Yes, it is preferable. I just edited the recipe to add this step.